Tain: Peter & Rachel Reynolds, 2012. . 374 pages.. Paperback. New. 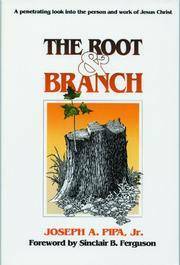 Tain: Christian Focus Publications (Mentor), 1998. . 309 pages. Previous owner's address label to flyleaf.. Hard Cover. Good Plus. 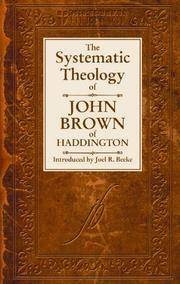 Edinburgh: Knox Press/Banner of Truth Trust, 1974. . 350 pages; includes sections on the Seceders and Voluntaryism, and the effect that a modified subscription to the Westminster Confession had in the long run. . Cloth. Good/Average. London: Banner of Truth Trust, 1967. . 457 pages. Previous owner's name to flyleaf. Original 1967 Banner of Truth printing in nice condition with only slightly worn dustjacket (dustjacket spine very slightly discoloured, slight wear and tear to jacket corners, tiny and not noticeable pen mark at bottom of jacket spine). Cloth. Good Plus/Good. Tain: Christian Focus Publications/Reformation Heritage Books, 2002. .  + xxii + 576 pages. Slight stain to fore edges.. Hard Cover. Good. Grand Rapids: Baker Book House, 1980. . 421 pages, good clean condition, cover and edges slightly yellowed/faded, back cover creased. Paperback. Average Plus. London: Oxford University Press, 1967. . xvii + 343 pages. Spine creased, covers discoloured and a bit stained.. Second Edition. Paperback. Average. Grand Rapids: Zondervan, 2011. . 1264 pages.. Hard Cover. Very Good. 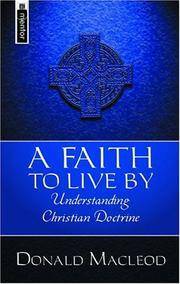 Tain: Christian Focus Publications, 1989. . 140 pages.. Paperback. Good. London: Banner of Truth Trust, 1990. . 32 pages, with proof texts. Unused but staples a bit rusted. Seller has 4 copies available at time of cataloguing. Pamphlet. Good. Edinburgh: Banner of Truth Trust, 1980. . 282 pages, glue failing, paper browned/foxed. 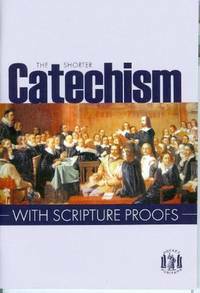 Further detailed questions and answers based on each question of the Shorter Catechism. Vincent (1634-1678) was a London Puritan minister, ejected in 1662, long remembered for fearless preaching amidst the dying multitudes in the Great Plague. . Paperback. Average Minus. Exeter: Paternoster Press, 1987. . 446 pages.. Paperback. Average. London: Marshall Pickering, 1991. . xix + 569 pages.. Paperback. Good Plus. 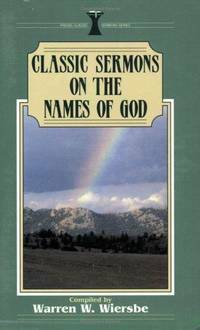 Grand Rapids: Kregel Publications, 1993. . 159 pages, 11 sermons, other authors are John Ker, James S Stewart, Alexander MacLaren.. Paperback. Good Plus.